-It was a non-YA week. And very appropriate to read two UK centric books on the week of the Olympics. -Book club book for August. Very nice week. I very much liked the opening ceremonies of the Olympics very much. Great haul. Come visit me as well. OoOOo I still have to read Last Rite! I love this series and I'm ssad I still haven't had the time to read the last one!!!! I'd be interested to check out Elizabeth the Queen.... I'd imagine it would be a really interesting read! Good week! 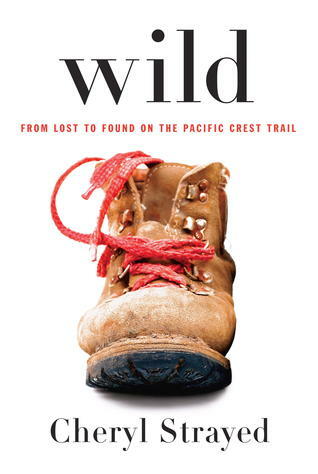 I've been curious about Wild since it was announced as Oprah's first pick for her book club ... it does look really good! Looks like a good week for you! Wild sounds like it could be an interesting read! A nice haul Alison! I have only read Lisa Desrochers 1st book.. Ahh!! I need to read the Personal Demons series so badly!! I've heard such great things about it! OOh, a book on the queen. Cool! Nice haul! 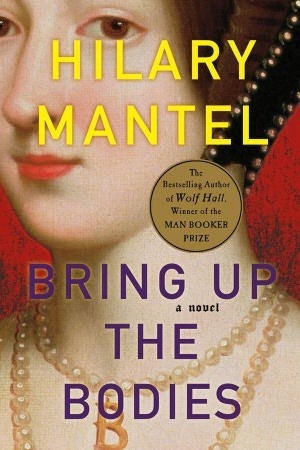 I have yet to read Hilary Mantel but the reviews have been really great. Enjoy your new books! Lovely haul, I haven't read non-fic in ages, but those sound like two excellent ones for 2012. I loved the opening ceremony of the olympics and the fact that everyone did a double take with the real Queenie featuring in the bond snippet! Jubilee celebrations were of course wonderfully rainy, but my only gripe is that I didn't win one of the 100 millionaire tickets on Friday...I mean,come on! Anyway, to the books, thanks so much for popping over earlier, I'm now really excited about The False Prince. Wild looks really good. I'm curious about the Lisa desrocher books but I read some mixed reviexs so I finally still wait to know what I'll do about this series. Happy reading! Nice haul. Last Rite sounds like a good one. Happy Reading! I've seen both of your non-YA books. Thanks for visiting. Thanks for shopping by my STS! I've been dying to read the Wolf Hall series, I've heard wonderful things about it! Very interesting set of books there. I hope they're epically awesome! Love all the interesting books you have this week! Happy reading! 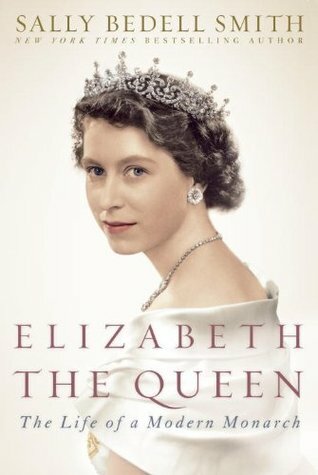 A book about Queen Elizabeth, nice! I haven't read any of Lisa's books but I've heard they're good. Thanks for stopping by. I'm very excited about the Olympics. I think my reading will definitely suffer....Never considered reading books to "put me in the mood!" Great idea! The book about Queen Elizabeth looks really interesting. Last Rite looks good too, is this series good? 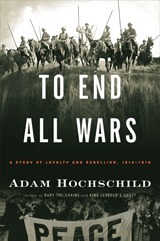 To End All Wars looks really good! Great haul! I still have to read the first Lisa Desrocher book. Good haul this week. 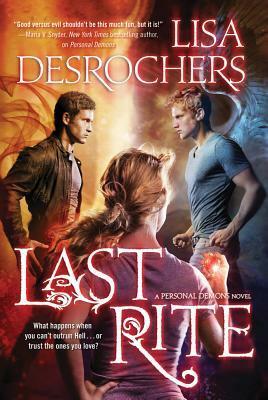 I have seen Lisa Desrochers books before but I have never got around to picking up any. Great haul! I hope you enjoy reading all of your new books! Happy reading and thanks for your comment on my STS. Great haul! I actually haven't heard of any of those books but they all sound really amazing and I hope you enjoy them all! Great haul! Bring Up The Bodies looks really good. I read Wolf Hall last year and can't wait to read this one. I've heard such great things about that Queen Elizabeth book! It's definitely one that I'm hoping to pick up soon. And since it's not YA and I know you won't be reviewing it... what did you think about it? Wow, great haul! Skip Beat is such a popular manga--I really need to read it! Looks like you had a fantastic week! The Last Rite looks pretty interesting! I'm going to look more into that one. I hope you enjoy all the books you got this week! Thanks for stopping by! Wow I have not heard of some of those. Enjoy!! Last Rite and Bring Up the Body look like great read! I've just added them to my wishlist! To End All Wars is excellent. Hope you enjoy your books and thanks for stopping by. Nice haul this week. I hope you enjoy them. Thanks so much for passing by my blog. I am really intrigued by the premise of Wild. I'll have to read that one. Thanks for stopping by Clean Teen Fiction's Stacking The Shelves ! Oh oh, I didn't know at all the Lisa Desrocher's series but it sounds good. I have to put it on my wishlist!! I can't wait to read last rite:) i am new gfc follower, please check out my blog too!